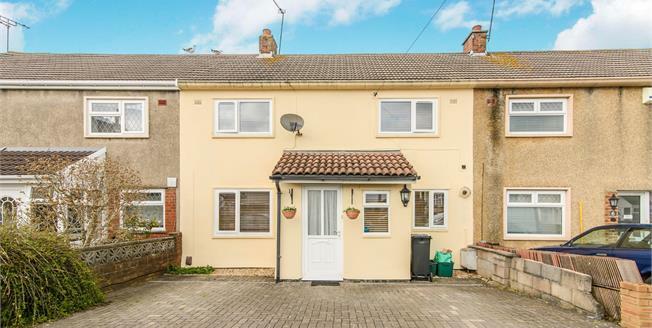 A spacious three bedroom terrace house offered for sale with no onward chain. The accommodation consists of an entrance porch, two reception rooms, conservatory and kitchen on the ground floor with three bedrooms and a family bathroom on the first floor. Other benefits include off street parking, an enclosed garden, gas central heating and double glazing. Viewing recommended. Double glazed window facing the front. Radiator. Fireplace. Conservatory with doors to garden. Double glazed window facing the front. Radiator. Double glazed window facing the rear. Radiator, built-in storage cupboard. Double glazed window facing the rear. Low level WC, panelled bath, shower over bath, wash hand basin. Enclosed garden to the rear and off street parking to the front of the property.